Overall, one sees a range of effects accompanying resource development in these towns – from the regional city of Toowoomba, to the heart of the CSG area in Chinchilla and Roma, to the coal mining towns up north. Rises and falls in housing costs seem to have driven inward and outward migration by different income groups, as one might expect. With a dip in rents, crime rates are up, partly reflecting a general Queensland trend. However, in a number of these towns, the rise in drug-related arrests is outpacing the Queensland rises. Despite stresses arising at the lower end of the income scale, personal incomes are close to following their general upward trend. Business incomes remained, in the 2014-2015 tax year, significantly above their level before CSG development. We noted last year that the development of coal seam gas (CSG) has been a significant catalyst for change in communities of the Western Downs and Maranoa local government areas of Queensland, Australia. 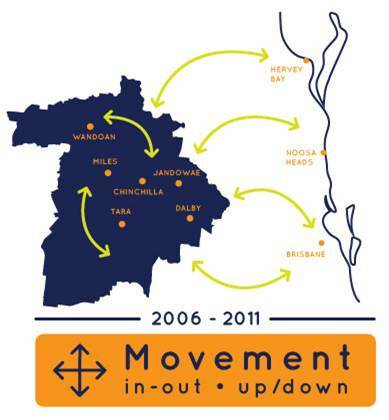 It has had marked, but less significant impacts in the regional centre of Toowoomba. Its impact has been overshadowed in the Isaac local government area by changes in the coal industry. Though external factors - the CSG construction period, coal prices changes, and drought - can be attributed with driving these changes, these factors have abated. Nonetheless, these regions appear to be continuing to adjust to a 'new normal'. This Annual Report website provides data on a town level, as the changes are experienced differently, and need to be responded to differently, in each town. 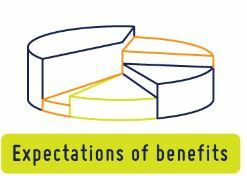 Expectations - Differences between expectations and outcomes in relation to the distribution of social and economic impacts and benefits within and between towns. During the CSG construction phase, which tailed off in 2014, local businesses expanded. There was inward and internal migration for work, and there were training completions. These changes were accompanied by housing costs more than doubling in the two smaller towns in the Western Downs that we profiled, which were closest to the hub of CSG construction. The rise seems to have stimulated low-income renters to migrate to less costly areas, such as smaller towns away from the construction or into Toowoomba. When the CSG construction phase ended, the outward migration of low-income renters seems to have reversed, as we reported here in 2016. Local business activity has decline from the heights of 2012-2013, but it appears still to be higher than before the CSG construction period. The Maranoa region to the west - where Santos has historically operated - experienced significant effects of the CSG construction phase in 2011-2013. We tracked these effects in two target towns - Roma and Wallumbilla. Key changes were observed with non-resident workers entering the local population temporarily, increased rental costs, local skills shortages, and increases in reported offences. Maranoa also seems to have experienced a recent influx of low-income families taking advantage of cheaper rents. It is also seeing a retention of some business vitality. Toowoomba to the east - which can be seen as a gateway to the Surat Basin CSG region - seemed to be relatively mildly affected by the CSG construction period in 2011-2013. Lower-income residents were reported to have moved to Toowoomba after rents had increased in surrounding towns, with the increases in rent attributed to CSG development. Non-resident workers were not seen to be a “big deal” in Toowoomba, according to our interviews. The key stakeholders interviewed noted that a “fair proportion” of the Toowoomba residents worked for the CSG companies or contractors during the CSG construction period. 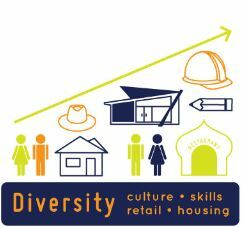 Skills shortages were experienced in Toowoomba. Skilled workers were reported to leave town-based employment to work in the CSG industry in the surrounding region. Business income increased significantly after 2011/12. In Toowoomba, benefits were described as accruing to a small proportion of businesses. Local expectations for widespread benefits were not met. Rents and house prices remained below the Queensland median, but they increased steadily. There was a rise in the median house price of more than $50,000 between 2013 and 2014. The same level of increase ($50,000) had occurred over the preceding eight years. Drug offences rose from 2011 to be well above the Queensland rate by 2013. Rises in local crime rates were not attributed to CSG development, according to our interviews. One could conclude that diversity in the economy of Toowoomba buffered the town from the more acute impacts of the CSG construction period. Long-term, steady population growth is expected by those interviewed. Toowoomba was described as ready for the next “big project” with the resources industry. Some have expectations related to the soon-to-be-completed second range crossing and a hoped for increases in use of the new airport built by Wagners. The Isaac region - to the north, where Arrow Energy has CSG development - experienced significant effects during the CSG construction period of 2011. However, those effects would be due to changes in the coal industry of the area rather than the much smaller CSG investment. The towns of Moranbah and Dysart saw changes related to the composition of the local population, skills shortages, and housing affordability and housing availability. These towns seem to illustrate the trajectories of rural communities based on mining, with the upswing and downturn due to the coal industry dwarfing the fluctuations seen in the Western Downs and Maranoa. Fixed income residents - Steep increases in rents during the construction phase were followed by steep decreases afterward. The fall in rents caused by empty houses has attracted people on fixed incomes. Some of these families require more social services than other residents. Some of their children are placing increasing demands on local schools. We have completed a brief analysis of data on a new, secondary indicator - the number of people receiving government payments. We looked at figures for 2001-2015 for Chinchilla, Roma, and Toowoomba. These figures support the "migration" hypothesis. We have shared this analysis throughout 2016 with government, industry, and the regional communities. Hidden assets – There are residents in the region who have received financial returns from CSG development who seem to be investing outside the region, according to our interviews. These investments include nest eggs for retirement and support for the next generation. We were told that a family might buy a flat near St Lucia for children attending university, for example. An investment advisory noted that residents seemed to perceive that drought, flood, the CSG construction boom had made the region’s economics "volatile". These "ex-patriated" assets could be available for investment within the region in coming years. Our current analysis of business vitality evident in 2016 data and interviews should suggest the extent to which local income from the CSG boom is being spent locally. Also relevant is a UQ Business School study of resilience in small to medium sized entreprises in the region. That data, combined with our own, seems to underline the importance of building "social capital" in assuring a postive legacy from CSG development, particularly given the importance of small businesses in the region. There is a range of studies on CSG development being completed and published in recent years. We aim to provide here a brief synopsis of findings of key studies. We will also provide links to the study reports. General conclusions from analysing 2016 data echo those from assessing 2015 data for last year's Annual Report. It is clear that the number of people entering, leaving, and moving within the region has reduced since peak construction for the CSG projects has passed for most towns (seen in the reduced number of house sales and rental bonds). Gasfields being developed near Wandoan might be seen as an exception (although Wandoan has also experienced effects of potential coal mine development nearby). Such movement can be seen as an increase in overall opportunity. However, our interviewees told how it also causes a decline in the pre-existing social bonds and networks that constitute "social capital". This phenomenon has also been found in energy 'boom towns' in the United States (Brown, Dorrins & Krannich 2005), and in studies of social change resulting from resource development in Queensland (Petrova and Marinova 2013; Everingham, Devenina and Collins 2015) and Western Australia (Pini, McDonald and Mayes 2012). A decline in social capital could be seen as a temporary handicap, limiting the ability of the region to benefit fully from the economic boost of CSG development. Reduced social capital can impare local business innovation and growth and make the region less appealing to potential residents. That said, the movement of people also provides an opportunity for new ties to be formed. These new ties have both pros and cons. Some ties last, and others do not. Some who launched or grew businesses in the region are reported to have left without paying their bills. However, some local businesses that grew would have explored new opportunities, connecting with new customers, new suppliers, and new staff. To take advantage of such opportunities - and to recover from deficits caused by the levels of inward-migration and outward-migration - benefits are evident from initiatives that nurture social capital. Such initiatives can either have building social capital as a primary aim. Alternatively, this thrust can be integrated with other aims. One goal in building social capital and business capacity would be to attract the "expatriated" assets held by local landholders and by business owners who have done well. That can foster investment and growth in the region.